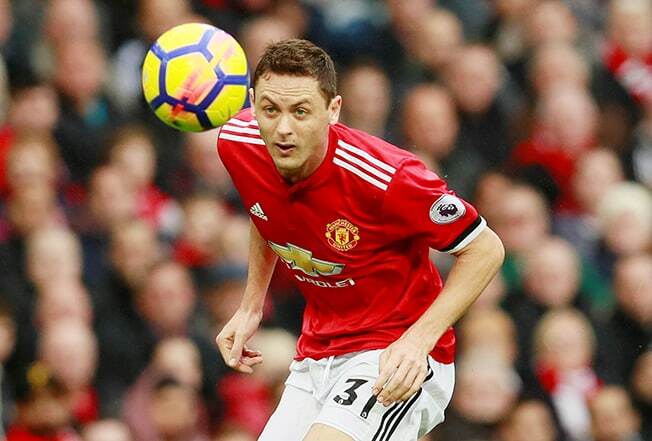 Chelsea’s decision to sell Serbian midfielder Nemanja Matic to title rivals Manchester United raised more than a few eyebrows and the consequences may be felt when the sides clash in the Premier League on Sunday (6.30pm). Matic left the London club after three and a half years to re-join former Chelsea manager Jose Mourinho at Old Trafford. He has played every minute in the league since, helping United to second place in the table, five points behind Manchester City. Mourinho’s capture of Matic is looking shrewder every week, prompting former United defender Phil Neville to say after Chelsea’s 3-0 Champions League drubbing at AS Roma on Tuesday that selling the Serb was the main reason why Chelsea are struggling defensively. His absence from Chelsea’s midfield will be highlighted further should N’Golo Kante fail to recover from a hamstring injury. The Frenchman is back in training but if he misses out against United, Chelsea will be without both members of the central midfield pairing that guided them to the title last season. In their place, Cesc Fabregas and Tiemoue Bakayoko bring creative attacking qualities, but do not provide the extra cover Conte craves and United’s pacy forwards could have the freedom to seriously threaten a fragile Chelsea defence that has conceded 10 league goals this season. United’s main striker Romelu Lukaku has gone six games without a goal, however, and Mourinho must decide whether to play Marcus Rashford and Anthony Martial together in the hope their raw speed and trickery can unsettle the Chelsea rearguard. The 29-year-old said he was not concerned about his reception at Stamford Bridge but is wary of losing to the champions as it would give rivals the opportunity to insert themselves into the title race. “We know we must respect them,” Matic added. “They are a good team, they’re champions and it’s going to be a hard game for us, but we also have our own qualities. Earlier on Sunday, Manchester City bid to extend their record-equalling start to the campaign at home to Arsenal (4.15pm). Pep Guardiola’s side have looked invincible at times, winning their last eight league games by an aggregate score of 32-5. However, City have only won one of their last nine matches against Arsenal and will be facing the Gunners after a testing away trip to Napoli, where they won 4-2 in the Champions League on Wednesday. Chelsea and Manchester United, as well as Tottenham who welcome Crystal Palace on Sunday (2pm), will be hoping Arsene Wenger’s men can cause an upset at the Etihad and blow the title race wide open. A win for Arsenal would also drag them back into contention. They lie fifth, nine points off the pace. On Saturday, West Ham host Liverpool (7.30pm) and their under-pressure manager Slaven Bilic will be desperate to avoid the 4-0 mauling they suffered in last season’s corresponding fixture.